I'm a UK based, freelance web developer from Frinton on Sea, Essex. I specialise in web design, website programming, copywriting and SEO and have a client base exceeding 250 as of 2014. I offer a very high standard of customer care and I provide 24/7/365 support to ensure your web presence is always in tip-top shape. Whatever your web development query, please don't hesitate to get in touch for a free, no obligation consultation. 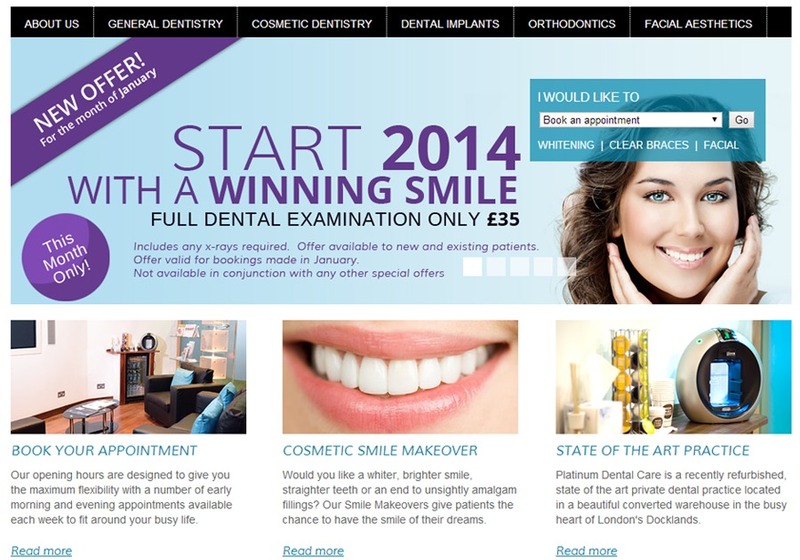 Platinum Dental Care required a web programmer, graphic design artists and SEO consultant to give their web presence a 'fresh' up to date feel. Web development took precisely two weeks with a £500 budget.